I have a new obsession and it has nothing to do with the six new Frappuccino flavors at Starbucks. Pants. But not just any pants. 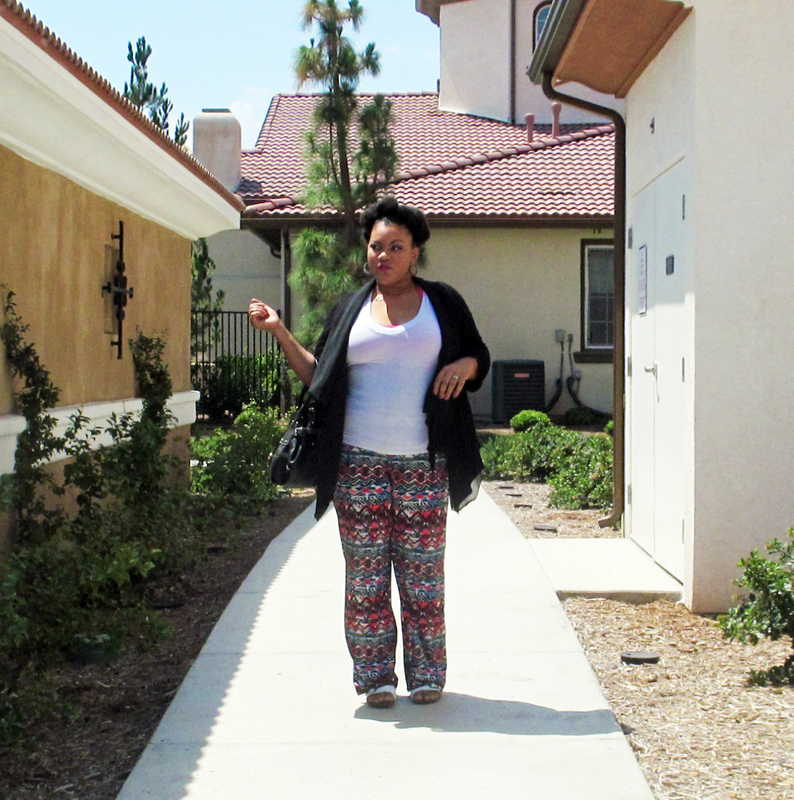 Palazzo pants. With stretchy waistbands. Hear me out. Understand that I had a baby two months ago so I’m not exactly feeling the denim love. Maxi dresses are sort of my friend right now (baby pooch, anyone?) but not as much as they were when I was actually pregnant. I will now use this time to shamelessly share a photo of my adorable new baby daughter. Anyway, one afternoon my mother took both of my kids and basically demanded that I have “me” time. You know what that meant…..shopping! So I headed over to Kohl’s because they were in the area. It was then that a pair of pants caught my eye. They were colorful, printed, soft, and STRETCHY. Was this a joke? And then it dawned on me. It’s a trend. Right now. They are BACK. But stylish! I think we all remember the disastrous gaucho pants of the early 2000s. These are nothing like that. You need them. There are a few things to be mindful of when wearing them, however. Palazzo pants vary in length. Many tend to be very long for average height people (I’m 5’5″). Because of this, be mindful of the shoes you choose to wear. If you need to wear a heel, consider a wedge to avoid shanking the fabric with your high heel. The appeal of palazzo pants is that they are free flowing and comfortable. Consider choosing a top that is more fitted to play with proportions. That being said, it is possible to also wear a full top with palazzo pants and not look like you’re going to bed. This is a pro and a con. The pro is that it stretches. Obviously. BUT that is also the con. This means you’re more at risk for lumpy tummy (if you have those issues like me). You can circumvent this by wearing undergarments or simply pulling them up to your natural waist. That’s it! Keep those in mind and you’ve got yourself an easy go-to outfit for the summer. I’d be more than happy to assist you in your personal styling journey. To sign up and get your first lookbook FREE, visit this link. I look forward to hearing from you!